Make your style fashionable and jump right into this novelty dress. 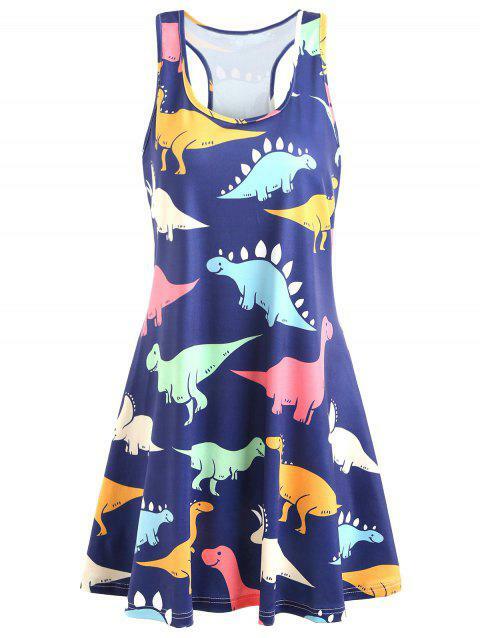 Featuring tank dress silhouette and fantastic dinosaurs pattern. This tunic length dress is perfect for lounging or lunching with friends, it makes your weekend fun and all the comfier. Runs big but it was a big hit for my little ones dino party. Comfortable and forgiving to all the curves. I had to take it in a bit to fix the sag from being too large but my favorite dress for the summer!!! Q:Hi! I have a question. Do you ship items to Canary Islands, Spain? Thanks in advance!